Home Travel Travel Tips & Hacks The Landscape List – A Guide to Darwin’s Natural Landmarks. The Landscape List – A Guide to Darwin’s Natural Landmarks. 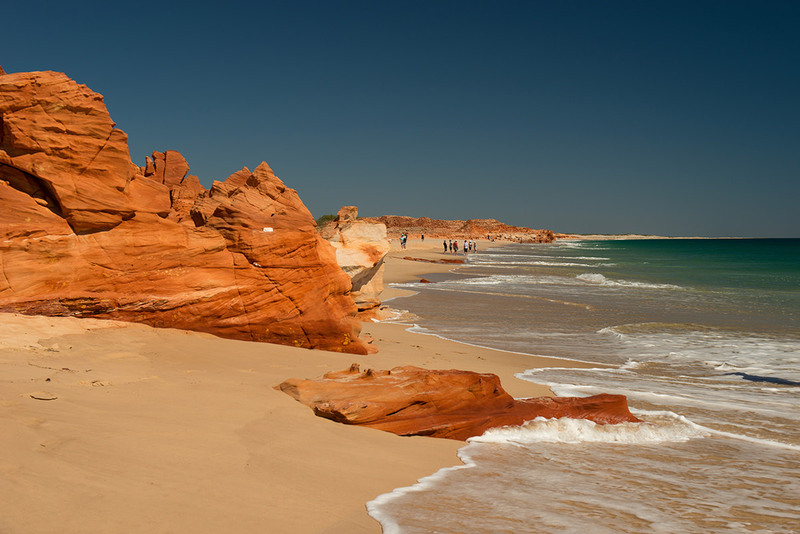 The top end of Australia is home to some of the world’s most stunning and rugged terrain, sprinkled with superb beaches, sublime climate, and tropical flora. The Northern Territory is one of the few places left which retains the true essence of the Aussie lifestyle. Sitting on the northern coastline, Darwin’s unique attractions offer tourists and visitors an insight into the absolute best Australia has to offer. Darwin apartments can be exceptionally well appointed and affordably priced; catering to every budget, and the majority of Darwin’s most alluring attractions are just a short drive from town. So let’s begin to explore a small taste of the myriad of natural wonders offered by this remarkable and exciting city. Welcome to paradise! Popular for swimming, bushwalking or picnicking, this tropical oasis attracts visitors and locals alike; offering a cool sanctuary from the often stifling humidity. The parks spring water originates from deep within the soil and is thus brimming with minerals which endow the water with a stunning aquamarine hue. Nature is in abundance throughout the area and the dense scrub is inhabited by small wallabies and carpet pythons; while teams of fish can be seen flitting about in the crystal clear water. Pay close attention to park signage, as there may be a small risk presented from fresh and saltwater crocodiles. With such an abundance of natural attractions, and the park covering such a vast area, it is wise to plan your trip in advance, to gain the most of the experience. Located in the Litchfield National Park, the magnetic termite mounds are a natural wonder well worth visiting. Towering up to two meters in height, these mounds are unique to the northern part of Australia. These statuesque mounds are magnetic compasses, with their thinner edges pointing north-south and broader backs pointing east-west. Boardwalks have been constructed to enable visitors to get the best vantage points to the mounds. Taking pride of place is the lofty four-meter high Cathedral, Termite Mound. Swimming – the area boasts vibrant cascades, waterfalls and shimmering plunge pools! Be sure to bring your camera along when visiting Mindi Beach. The world famous sunsets have inspired countless amateur and professional photographers, with their intoxicating array of ever-changing colors. Three-hour bike tours are available and are the perfect way to experience all Mindi Beach has to offer. Not exactly a natural landmark but breathtaking nonetheless, Crocosaurus Cove in the very heart of Darwin, caters to those seeking something a little more exotic. Featuring massive saltwater crocs along with the world’s largest display of Australian reptiles and a 200,000-litre aquarium, this is a must-see adventure for the whole family. This list covers just a small selection of the wealth of natural wonders which Darwin has to offer. If you are looking for the quintessential Australian experience then book a flight to Darwin today and discover the magic and beauty of this remote corner of Australia.